After 3 kids my body will probably never be the same again. After 3 kids my body will probably never be the same again. This is a truth I have come to accept. BUT! That doesn't mean I can improve on what I have been left with. I may be 10kg heavier than I was pre babies but I am slowly working towards a 5 kg weight loss goal. What I hate is that I keep loosing weight from all the "wrong" places like my face and breasts. In the meantime my love handles and tummy flab don't seem to budge. This is why I turned to fat freezing! I wanted to sculpt my body and loose fat from specific places. I wanted to see my hard work exercising and eating well paying off for once! When I first visited Emetheni I had a consult with Lisa who explained the process and what I would need to do after the treatment to ensure a good result. We also took photo's to be used as my "before" picture in future. I was told to wear comfortable clothing and appropriate underwear to the appointment and to bring something to keep me entertained as the treatment takes just over an hour. When I had my treatment Lisa applied a (very sticky and gooey) gel pad to the area. I wanted to attack my hips (love handles) first. The CLATUU fat freezing machine was then turned on and the handle was placed on my hip. I would describe this as a curved vacuum head. Once we agreed we had the right spot Lisa activated the suction. This feels really weird! Literally your flab is sucked into the handle! It feels cold, wet and tight. But not painful. Once the suction level was set the cooling process began. Lisa explained that it may become somewhat uncomfortable but that this would subside very quickly as the area became numb. The cooling did become a bit sore, kind of like holding an icepack on for too long, but this only lasted a minute or two. By the time I was 15 minutes into the session my hips were completely numb and I felt very relaxed and comfortable. At the 20 minutes mark Lisa covered me in a lux fluffy blanket and turned down the lights. I must admit I read for about 15 minutes and then dozed off. Lisa reassured me that this was completely normal and that it wouldn't last long. It's not a weight loss treatment so don't expect to see big changes on the scales. I was awoken by the beeping of the machine advising I had 5 minutes left. Lisa returned to remove the handles and talked me through what was going to happen when she did. She said I wanted to see a "fat popsicle" (yuck) and oh boy did I! When she removed the handles I had 2 purple/red fat logs, one on each hip. Lisa covered each side with a towel and began massaging. As the blood retuned to the area so too did the feeling. The redness and the swollen log shape went away really fast. As the sensation came back I did experience a burning sensation. This lasted for about 5 minutes and was pretty uncomfortable. Lisa reassured me that this was completely normal and that it would last long. I was given a bottle of water and left to dress and by the time I walked through to reception I felt pretty normal. The area was still a bit red and a bit cold but the pain was gone. Lisa explained that over the next 2 weeks it was really important to eat well (low carb/low sugar) and to exercise. I found that I was really motivated to do the right thing. I didn't "crash diet" or anything crazy, I just ate well. Fish and salad, or steak and veggies and no naughty treats! I also went for a brisk half hour walk 3 times a week. Lisa also explained that it would take my body several weeks to metabolise the fat. So I had to be patient to see the real result of the treatment. Six weeks later I am thrilled with the results. My fav jeans are fitting better than ever and I feel more confident in swimwear. I can really see and feel a difference in the size and shape of my "love handles," and the tape measure agrees with me. I am 4 cm down around my hips! I was so happy with the results in fact that I have now had my inner thighs and tummy treated too! I will share my "after" pics from those treatments in 6 weeks! Overall if you want to sculpt your body and remove fat bulges from hard to budge areas then this is an excellent treatment. It's not a weightless treatment so don't expect to see big changes on the scales. That part is still up to you if thats what you want. You do still have to help your body metabolise the dead fat cells so don't expect and instant fix, but if you are patient and follow the instructions its well worth it to say bye bye to love handles! BOOK IN FOR A CONSULTATION TODAY | CALL US ON 07 5576 0285 OR COMPLETE THE BOOKING FORM BELOW. + Please note this client has had a spray tan in the after image. As a part of our commitment to providing our clients with the latest and greatest technology from around the world we are excited to announce the arrival of CLATUU CRYOLIPOLYSIS (fat freezing) technology and ULTRAFORMER skin tightening technology at Emetheni. Both machines are at the cutting edge of medical cosmetic technology and offer great results. Both are minimally invasive and offer patients an alternative to surgery. CLATUU CRYOLIPOLYSIS is a non surgical targeted fat reduction treatment that uses a controlled cooling technique to cause Apoptosis (fat cell death). The treatment takes 1 hour and results can start to be seen after 3 weeks, once your body has begun to naturally expel the dead cells. Full results are expected to be seen between 8 - 12 weeks. As a VERY special offer to our clients we are offering you the chance to have a CRYOLIPOLYSIS treatment at over 50% the regular cost. This offer is only available to the first 20 clients. UTRAFORMER therapy is a completely non-invasive face, neck and body lifting treatment by UTRAFORMER. It uses High Intensity focused ultrasound to lift and tighten the skin without downtime. UTRAFORMER delivers HIFU (High intensity focused ultrasound) energy below the skin. 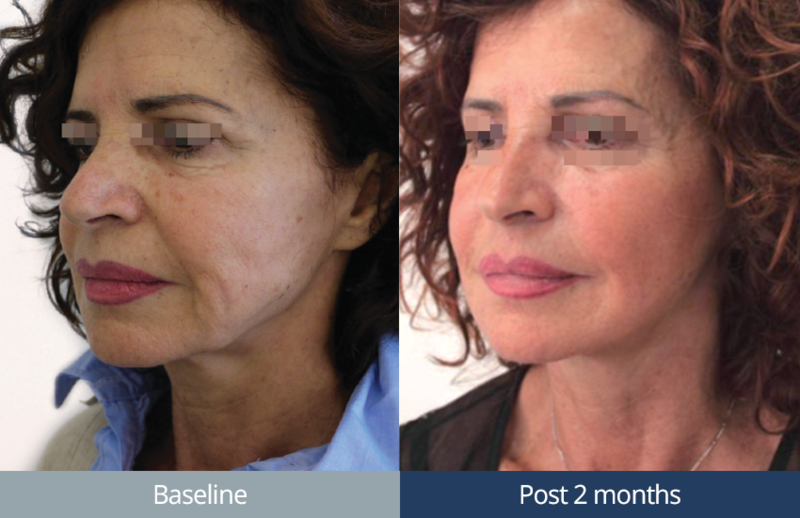 HIFU effects three layers of the superficial and dermis along with SMAS, which is the same layer of tissue that surgeons pull tight in a face lift. As a thermal energy safely heats this tissue, it contracts resulting in tightening of the skin and formation of new collagen, which provides longer-term tightening effect. Most clients only require 1 treatment. Immediately after treatment initial results are visible, (approx. 20% of the final difference). The full extent of improvement can be seen at 8 weeks. 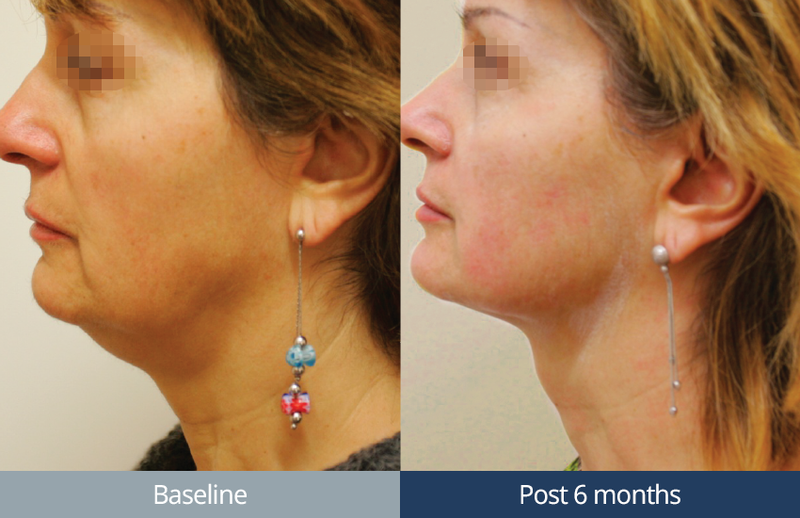 Clients at Emetheni have already enjoyed fantastic results on the jowls, cheeks and neck. One client remarking that the instant result looked as if she had been treated with fillers and that 2 weeks later she is still aware of further tightening. The UTRAFORMER has also been used on patients tummies following pregnancy to improve skin elasticity with phenomenal results. The notorious ‘mummy tummy look’ has been treated by using both the CRYOLIPOLYSIS fat freezing machine and the ULTRAFORMER in combination with excellent results. For further information on our “mummy tummy make over” call us! As an opening special we will be allowing 20 clients the opportunity to experience ULTRAFORMER for $660. This is a saving of over 50%. Call or email to make a booking today on 07 5576 0285 or click the contact button below. Thank you for enquiring, we will get back to you shortly.